August is the warmest and clearest summer month in Los Angeles. If you visit then, you're likely to have cloudless, sunny skies with little chance of rain or fog, but it may be pretty hot, depending on what part of the city you visit. August is a busy month for Los Angeles area attractions. The theme parks are bursting with visitors, and the beaches are packed. The most popular summer events sell out weeks or months ahead, making advance planning essential. For a metropolitan area as large and geographically diverse as L.A., average temperatures can be deceiving. Near the Pacific Ocean in Santa Monica, the average high in August is 70 degrees, but at Universal Studios just 18 miles away, the average high is 94 degrees. It's cooler near the beach in L.A. than you might expect. Pack a mid-weight jacket if you plan to spend the evening near the water. With so much sunshine to enjoy, don't forget to pack your sunglasses and sunscreen. Short-sleeved shirts, shorts, and lightweight pants are fine otherwise. You can get away with running around pretty casually in a t-shirt and shorts, but some locals might dress more fashionably. Labor Day is celebrated on the first Monday in September, but in some years, Labor Day weekend begins in August. To get some ideas on what you can do over the long weekend, check out Ideas for Labor Day Fun in California. Or here are some other annual events in August to check out. Pageant of the Masters and Festival of the Arts: This annual event in Laguna Beach is hard to describe, but most people who go are glad they did. In short, people get dressed up and made up to look like scenes from famous paintings. It's quite a spectacular thing to see. International Surf Festival: The surf festival is held in four cities along the coast south of LAX Airport: Torrance, Hermosa Beach, Redondo Beach, and Manhattan Beach. Competitions include bodysurfing, a lifeguard championship, and a beach volleyball tournament. Watch the Grunion Run: From about March through August, you can catch the annual grunion run where thousands of tiny, silver-colored fish spawn on the sand at night. At some Los Angeles beaches, "Grunion Greeters" are on hand to explain what's happening. Summer's warm days and balmy nights are perfect for fun evening activities. You can go to a movie outdoors, see a play, go to a concert, or opt for some of L.A.'s more unusual summer night activities. 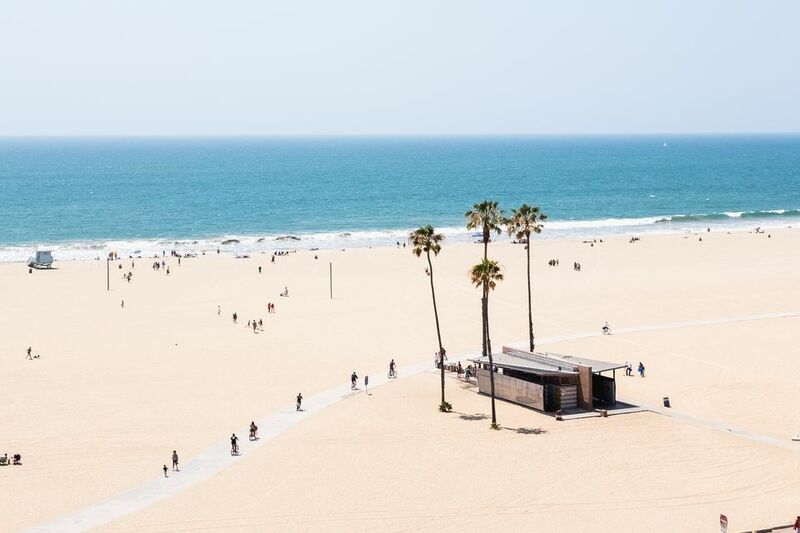 With the weather clear and bright and temperatures warmer, August is a good month to check out some of Los Angeles' best beaches. In L.A., you can see whales nearly year round: gray whales in winter and blue whales during the summer months. Find the best places and times to see them in the guides to Los Angeles whale watching and Orange County whale watching. Beaches in Los Angeles are susceptible to "red tides" when red-colored algae grow and color the water. Find out everything you need to know about red tides. Once in a while, the phenomenon called June Gloom extends into late summer, turning August into "Fogust," as locals call it. There's nothing you can do to prevent that, but you can be prepared with an alternate destination in case that sunny day at the beach isn't going to happen.